If you’ve been keeping up to date with the changes going around Gluten-Free Makeup Gal, this review won’t shock you. If you haven’t been keeping up with Gluten-Free Makeup Gal, this review might shock you. 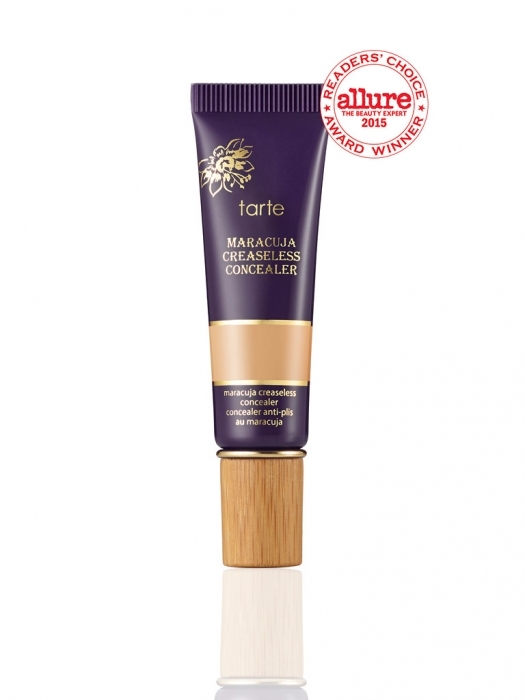 tarte cosmetics has been kept off the Gluten-Free Makeup List for a very LONG time. While they are an extremely popular company, their gluten policies consist of “we do not put gluten ingredients in our makeup, but we might have cross-contamination”. For the very sensitive person, this may not work. But to someone not super sensitive? As the above linked posts says, about 60% of my readers can handle tarte’s potential contamination level. And now that I’m so much less sensitive to gluten, I can now handle tarte without getting sick at all. 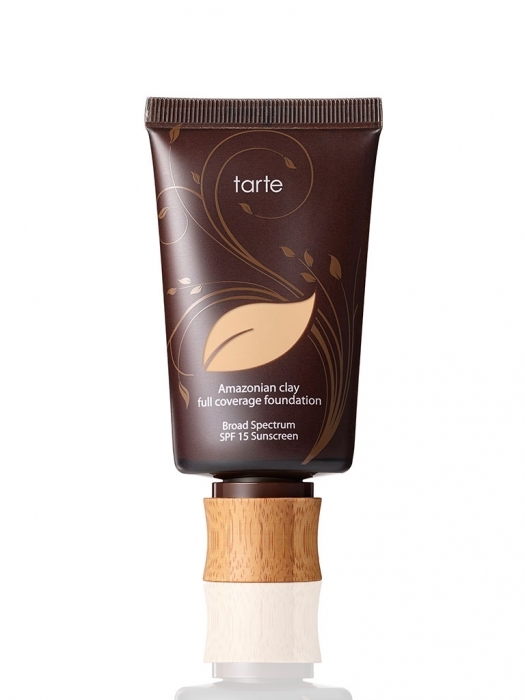 This is a very basic, oil-free, vegan, matte foundation. For being so basic, it’s totally perfect. The coverage is good, the wear really is 12 hours, and the matte finish has a bit of a velvet texture to it. Not too heavy, not too drying and lasts all day in Austin, TX heat and humidity. Gotta love tarte’s naming conventions. They tell you exactly what a product does right in the description. 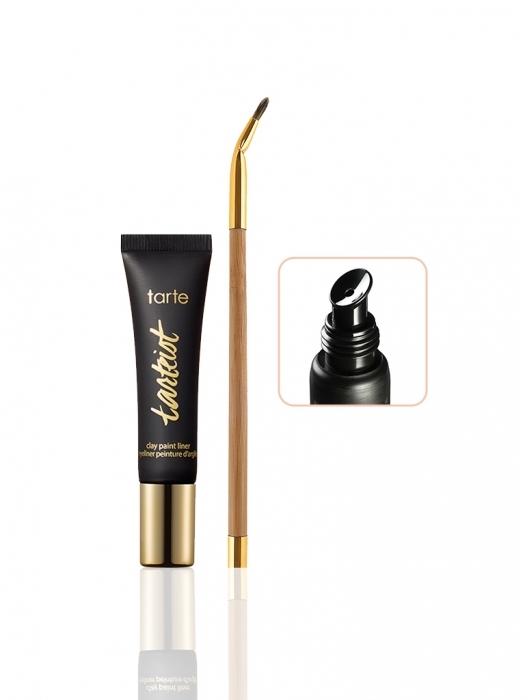 This concealer is thick enough to cover pretty intense blemishes, but blends out to work well under your eyes. I grabbed this because the funny little tip got me curious. I like painting on eyeliner with a brush. But I’d never seen a squeezeable tube with a little flat palette on the end. As it stands, this liner actually requires the blending end. It comes out slightly separated and needs a little swirl to get back into shape. Once that’s done, the liner goes on easily with an excellent texture. It lasts and lasts all day, with almost no smudging or wear. A gluten-free, vegan mascara that gives oomph and pizzazz and wow and also doesn’t melt in Texas heat? Yes please! 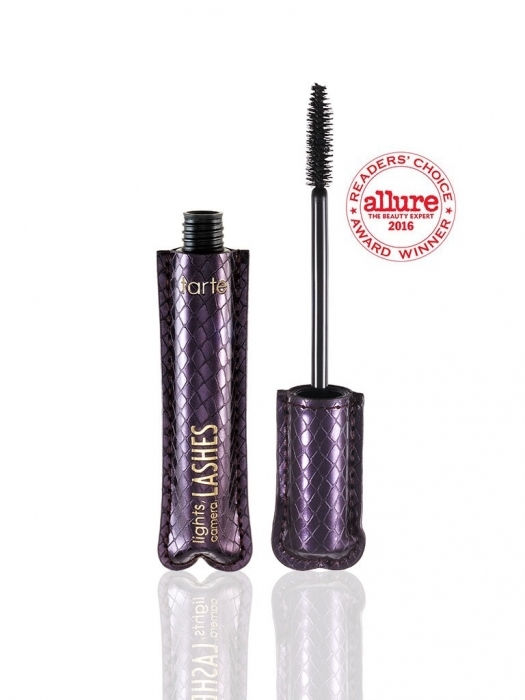 tarte’s “Lights, Camera, lashes” mascara has been a cult favorite for years. It’s no wonder, considering it hits everything you could want in a daily mascara. There’s also an adorable travel version of this you can try, if you don’t want a full bottle. But it’s such great stuff, you can’t go wrong with it. THIS STUFF THOUGH. I’m so in love with it. It goes on, stays on, and looks amazing for hooours. Every single time I wear either color I have, people ask me about it. They ask because it looks amazing. They ask because they watch me eat a meal and are stunned by how perfect it still looks. I sound like a paid ad now. Ahahaha WHOOPS. OK but it really is fantastic. I’m in love. You should check it out. I mean, LOOK AT THOSE LIPS IN THE PICTURES BELOW. Also I have come to realize I take a lot of car selfies now… Who is this person I am becoming? ? Anywho, if I were to title this review like a Winnie the Pooh chapter, it would be called “In which Afton becomes obsessed with a formally taboo company”. Because y’all, I’m obsessed. tarte has a cult following for a reason. If you are not extremely topically sensitive, check ’em out.